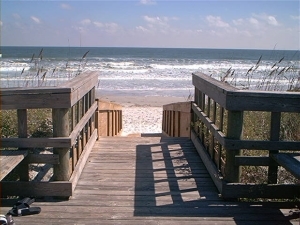 If you want a beach condominium that provides you with space to roam, this is it! 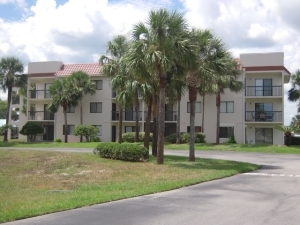 Ocean Village Club is located at the corner of A1A and Dondanville Road on beautiful Anastasia Island, spanning from A1A to the ocean including condominiums in many different floor plans, sizes and price points. There are a number of choices to fit every budget and lifestyle. 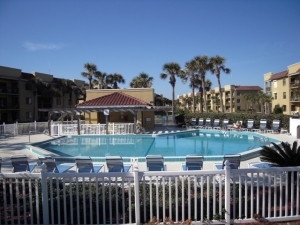 Ocean Village Club is a gated community with many amenities including two (2) pools, a spa, two (2) tennis courts, picnic area with grills, 4 shuffleboard courts, and of course, private access to the beautiful beaches of St. Augustine. There is also a community clubhouse with an exercise room and wireless high speed internet access and guest computer. The clubhouse has an upstairs party room available for events and includes a large kitchen area and outside decks. This condominium community is pet friendly and allows long term and short term rentals. Whatever you desire in a beach condominium can be found at Ocean Village Club! 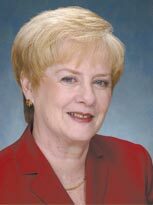 See "Purchasing Condos" for more information about buying a condo in St. Augustine.